Marc Albrighton insists Aston Villa have not been adversely affected by the suspensions of Ian Culverhouse and Gary Karsa. The club announced on Tuesday that assistant boss Culverhouse and head of football operations Karsa had been suspended pending an internal investigation. Although manager Paul Lambert has not shed any further light on the reason for the suspensions, he made no attempt to hide what a difficult week it has been for him. It at least ended on something of a high note as Villa brought to an end a run of four straight Barclays Premier League defeats with a 0-0 draw at home to Southampton. Lambert was assisted by youth coach Gordon Cowans, who won the European Cup as a player with Villa, and out-of-favour goalkeeper Shay Given. Both have been promoted to the first-team coaching team on a temporary basis, and winger Albrighton noticed a positive difference in training. He said: " Maybe for the manager (it's been harder) because it's his close pals but for the players it's been business as usual. "We're footballers, we get paid to play, and that's what we do. Every day we go in, train hard and come Saturday we'll cross that white line and it's like nothing's happened. You just get on with it. "Training's probably been better if anything. There's been a bit of a buzz, it's been lively, the tempo's been high and it's been very good. We had a very sharp session here (on Friday) and we took that into the game." It looked like being another disappointing afternoon at Villa Park as Southampton dominated the early stages but the hosts improved and had the better of the chances in the second half, with Albrighton central to their threat. Jeers have often accompanied Villa's home struggles but there were none to be heard on Saturday as the fans stayed firmly behind their team. Lambert declared it a huge point, and Albrighton said: " Just to stop the rot of the defeats was massively important and we've done that. "We worked hard for each other, there was a great atmosphere around the place and it was a successful day I think. I can't remember one point where it felt negative. 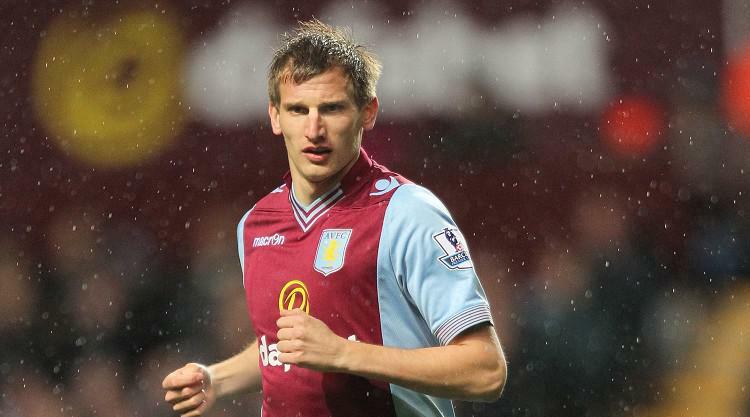 "In the second half we came out of the blocks and we worked hard and we had the Holte End behind us. "Southampton will always play a possession game, they kept the ball well and we did struggle to get near them, but second half we took the game to them and created some good chances." The point inched Villa closer to safety, now five points clear of the relegation zone with four games left to play. Southampton have never needed to concern themselves with the bottom of the table but they are in danger of ending the season with a whimper. Saints have won only one of their last five matches and have failed to score in the two games since losing England striker Jay Rodriguez to a serious knee injury. Manager Mauricio Pochettino is content with their overall form and thinks nothing that happens now can take the shine off his side's fine campaign. The Argentinian said: "We're playing really well but we need to be more clinical in front of goal. That's what we've been lacking these last few games. "We're frustrated because we haven't got the results we would have wanted but at the same time we're pleasantly surprised and very happy with the team's performance because it seems like we're a team that's actually playing to get into the Champions League. "We've already achieved quite a high grade, we've done really well throughout the season, taking into account all the problems we've had on and off the pitch. "Of course it would be great to finish the season on a high note, but if you analyse it, we've had a fantastic season."